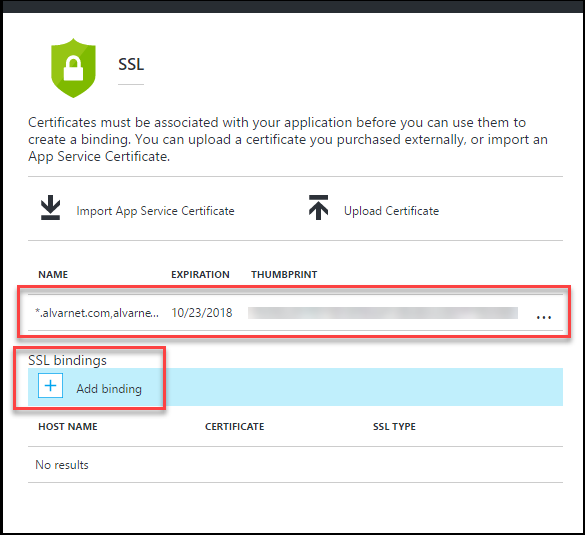 Notifications will show successful operations – that SSL has been enabled for the Azure web app. 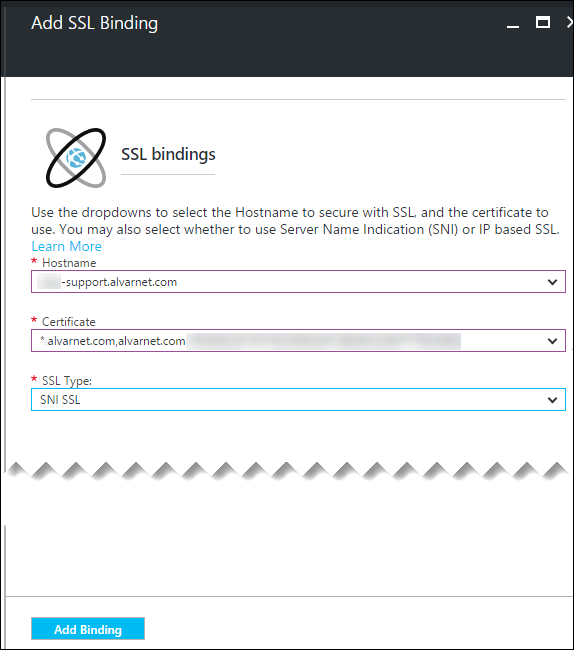 Verify that the https address resolves correctly. 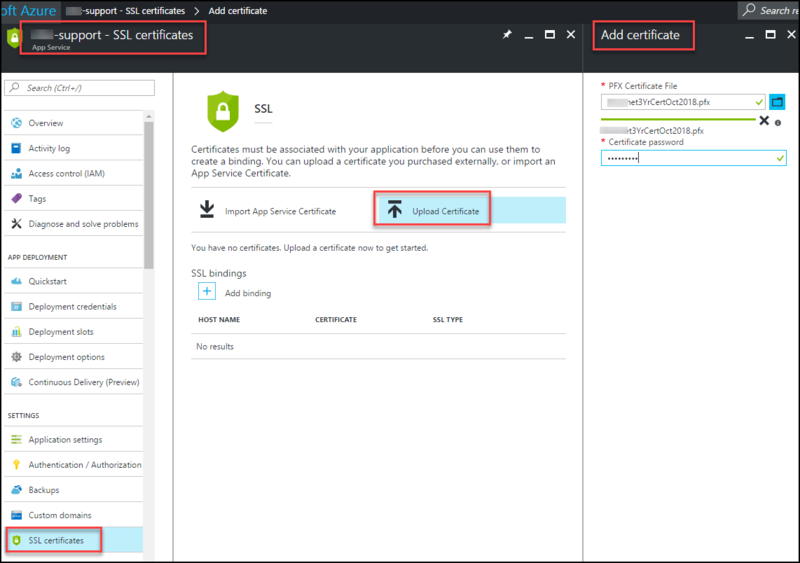 To enforce HTTPS on the web app address, read here about how to define a rewrite rule in the web.config file.